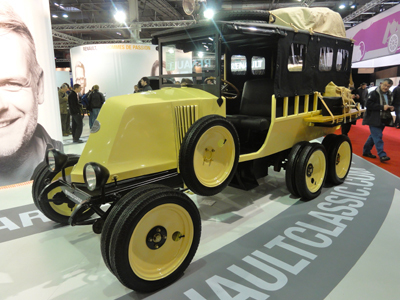 Once again, Renault took part in the Rétromobile Show that took place in Paris (February 6-10). 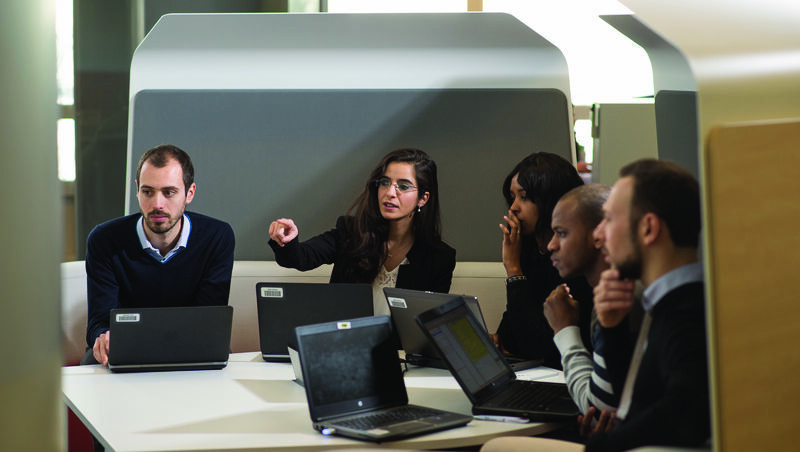 This year the theme was "Passionate People and Extraordinary Vehicles". A great opportunity to discover exceptional vehicles and enable visitors to look back at our 115-year history! 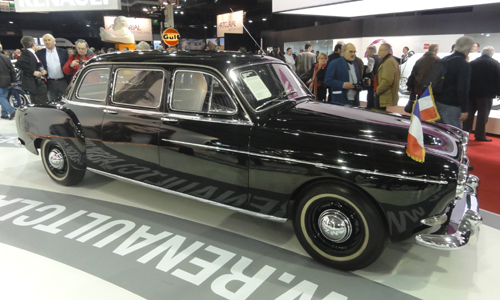 Renault Frégate Limousine (1957): This unique Renault Frégate was converted into an extended limousine for Général De Gaulle. 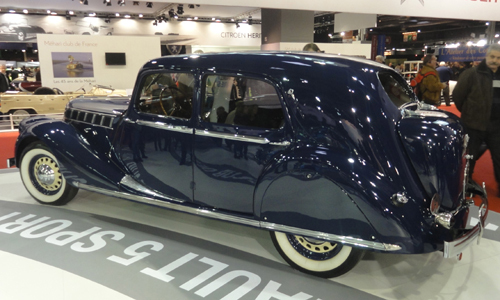 Although it never formed part of the official presidential fleet, it was still employed for the transport of VIPs, including Général Eisenhower during a visit to Paris. Alpine Renault A220: This outstanding A220 is another car that belongs to a private collection. 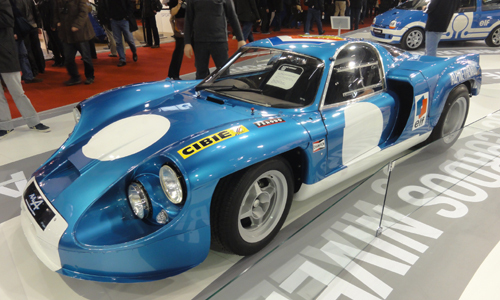 It is one of the only two surviving V8-engined prototypes developed by Alpine for endurance racing in the 1960s. 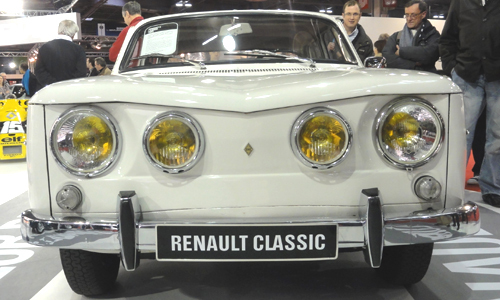 Renault 8 'Landon' (1963): In the spring of 1963, Renault decided to market a sporty derivative of the Renault 8. The brief for this car essentially concerned its top speed (“at least 155kph”), plus the need to keep additional costs to a minimum. The prototype produced by François Landon and his team was turned down in favour of the version developed by Amédée Gordini. 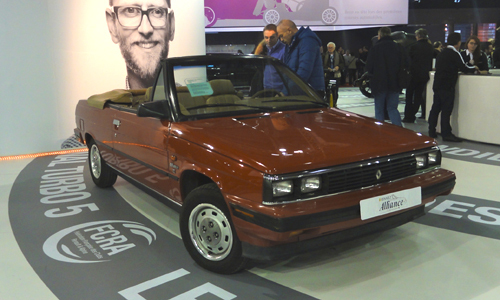 Renault Alliance cabriolet (1986): This car, which also comes from a privately-owned collection, was made in the USA. Its former owner nicknamed it ‘Eddie’ and asked for it not to end its life as scrap. 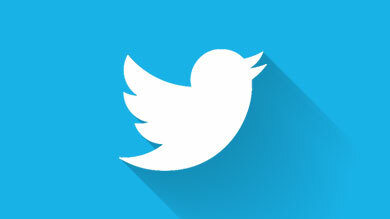 It was shipped to Europe from California in June 2009 and type approved in July 2010. ‘Eddie’ still features the specific equipment that was necessary to comply with American legislation. Renault Nerva Grand Sport (1937): In 1937, the Nerva Grand Sport was one of the last big Renaults to be produced before the outbreak of World War Two. 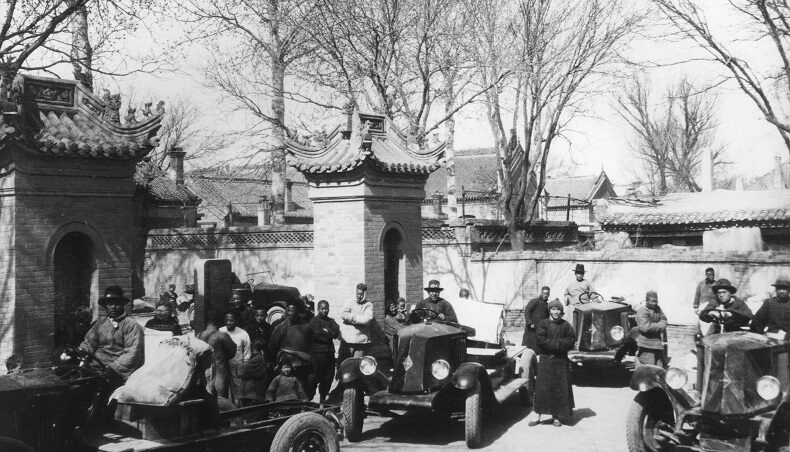 The car on display has just been restored and is one of the few surviving examples. 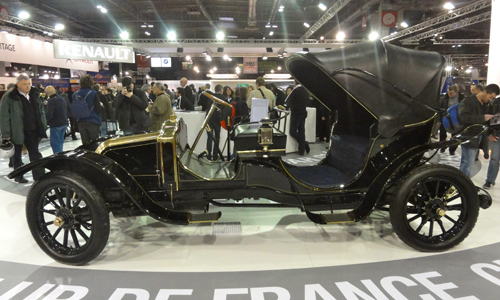 Renault Type DG Victoria Rotschild (1913): Renault Type DG Victoria Rothschild (1913): Built on a 1913 chassis, this Rothschild-bodied car was made for the Egyptian dignitary Abou Shanab Fadah. 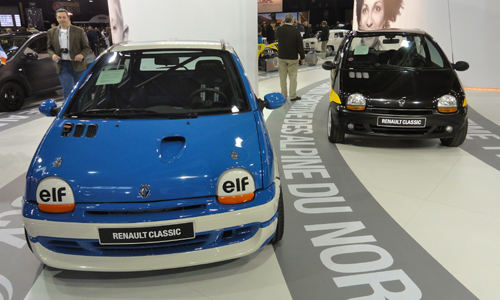 Left a Renault Twingo Cup (1995): This cup version of Twingo was produced by the equally passionate Christian Contzen. Different prototypes were made with either 1.6 135hp or 2.0 150hp engines, including the blue car on display. Right, a Renault Twingo 'Lecoq' (1995): This luxury version of Twingo is the work of the prestigious coachbuilder André Lecoq, a man of passion and an admirer of Renault. This one-off Twingo is his way of paying tribute to the brand and takes its inspiration from the celebrated make Bugatti. 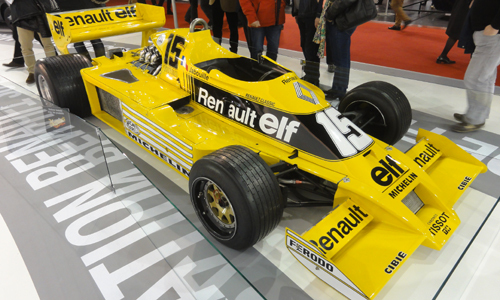 Renault F1 Type RS01 (1978): This car was the first to be raced by Renault in the Formula 1 World Championship. 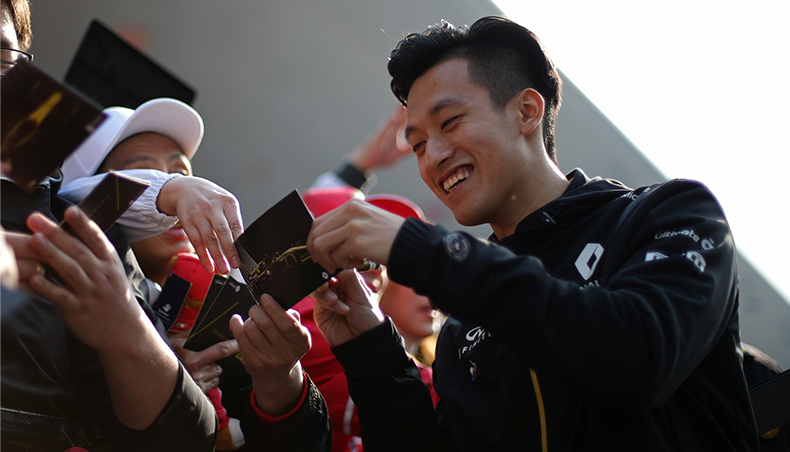 It would revolutionise the world of F1 by introducing turbo technology and paved the way for Renault’s 11 world titles. 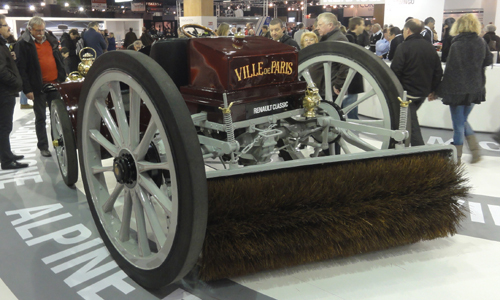 Renault road sweeper Type DM (1913): This surprising Renault road sweeper dates back to 1913 and is a precursor of today’s modern urban street cleaning vehicles. 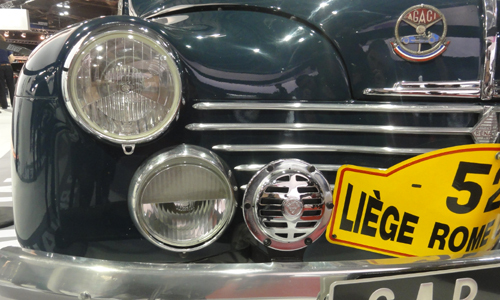 Renault 4CV 1063 (1952): This car comes from a privately-owned collection. Only 80 R1063s were ever produced and this sporty version of the 4CV is the sole surviving example of the cars that were prepared by the factory competitions department. It raced at Le Mans in 1952 and 1953, contested the 1953 Rallye Monte-Carlo, finished third on the 1954 Mille Miglia and was second on the Liège-Rome-Liège.